Often called the king of the jungle, tigers had no fear from anyone. But today humans have become their only predators killing and poaching this beautiful creature to its extinction. Now only 1411 left in this world. Earlier in India tiger hunting used to be taken as the act of bravery, they used to kill them if a tiger enters a human village or they used to go to the jungle to kill them, they usually used to kill them on foot or on horse. It used be one on one match it used to be a difficult task as tiger used to be stronger and heavier compared to a man. The condition of tigers was not that bad in that era. The Bengal Tiger is the most common subspecies of tiger, constituting approximately 80% of the entire tiger population, and is found mainly in Bangladesh and India. During the British rule the population of tigers started declining. Englishmen used to kill tigers from a large distance using fire arms and guns being out from their sight. They called this their bravery. To show their superiority to Indians they used to kill 8 to 10 in one single outing. Later the demand of tiger’s fur increased in the fashion world of London and America. Women were often seen wearing tiger fur in high profile parties or movies. A tiger fur was generating huge cash. This worsen the situation in India. Now they were killing 15 to 20 tigers in a single outing and they included some poor local Indians as well in their work. Bringing total population of tigers in the Indian subcontinent from 10 million to 50 thousand in hundred years. 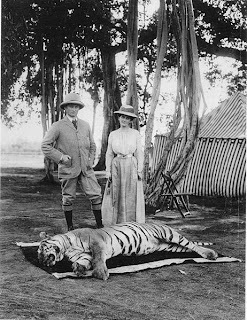 Though English people had left but they didn’t take the culture of hunting tigers with them. local people were still killing tigers freely until the Indian government made it illegal after independence. Killing of tigers also reduced as the ban was imposed internationally on wearing animal furs. But till today in many parts of the world including China, tiger’s body parts are being used to make medicines. Their encouragement and local people’s greed of hard cash has brought the survival of King of the jungle in doubt. Project Tiger, started in 1972, is a major effort to conserve the tiger and its habitats in India. An Indian tiger census conducted in 1972 revealed the existence of only 1827 tigers. Various pressures in the later part of the 20th century as described above led to the progressive decline of wilderness resulting in the disturbance of viable tiger habitats. In 1970, a national ban on tiger hunting was imposed, and in 1972 the Wildlife Protection Act came into force. The framework was then set to formulate a project for tiger conservation with an ecological approach. Launched on April 1, 1973, Project Tiger has become one of the most successful conservation ventures in modern history. The project aims at tiger conservation in specially-constituted ‘tiger reserves’, which are representative of various bio-geographical regions falling within India. 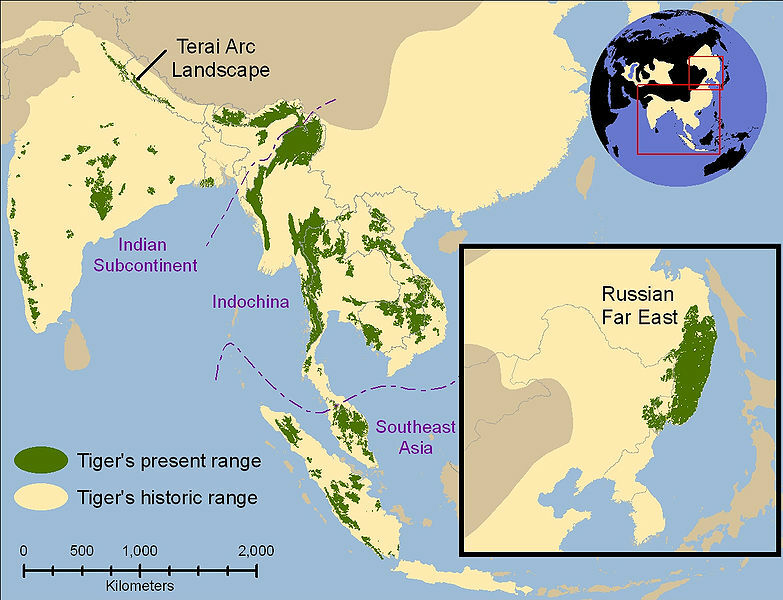 It strives to maintain viable tiger populations in their natural environment. Today, there are 27 Project Tiger wildlife reserves in India, covering an area of 37,761 km². It is an appeal to international community, apart from the efforts made by Indian government and citizens lots more attention, care and support from you people is needed to save the tigers. Tigers belong to this world not just India. As the world community hunted tigers in different times for different purposes, today we need the same world community to save them. Remember only 1411 left. Spread the word, share this post, or donate the authorities.